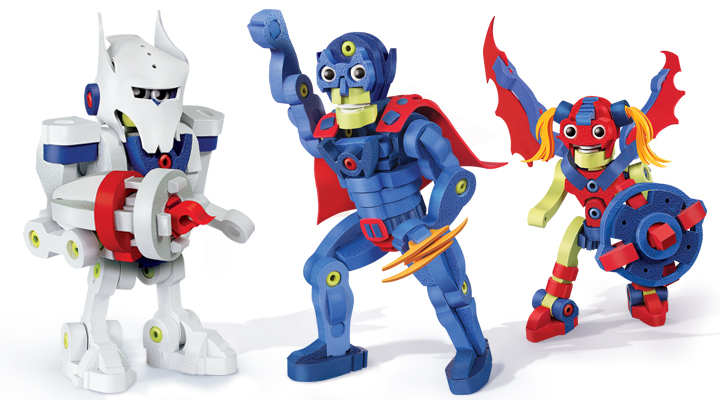 The set already comes with instructions for 3 models – BOT, HUMANOID and MUTANT. 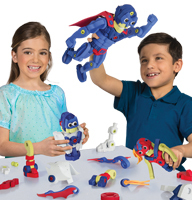 Then it also includes so many accessories like a Telekinetic Helmet, Cybertronic Scepter and Mega Blaster, you’ll be able to build more kinds of superheroes or give them extra superpowers to infinity and beyond! 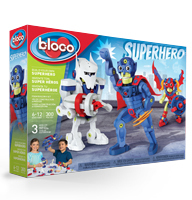 You’ll never have more fun saving the world!